When I was an undergraduate student, a general education teacher opened up the first day of class with a bold statement written in Comic Sans on a PowerPoint presentation; “when you teach, you must put on a teaching persona.” To this day I have struggled with this statement. I had never fathomed that my personality, my being, or my persona differed in accordance to a situation or space. The idea of “putting on” a persona, as if it were a costume or character, was foreign to my ideals of creating a safe space within my classroom. If I am asking my students to be their true selves and to draw from their own experiences and emotions to create theatre, shouldn’t my true self be available for their needs? If I am a different person in my classroom than I am outside of my classroom, am I being honest with my students? These are questions I asked myself quite often in my previous teaching experiences. As an early twenty-something, I taught high school theatre in a very small, rural town in South Georgia as a closeted member of the LGBTQ community. I asked my students to bear their souls when working on the nitty gritty details of a dramatic text, and gave them meticulous constructive feedback on monologues that brought a few of them to emotional breakdowns and breakthroughs. I knew many of their parents and siblings, overheard conversations on their dating lives, and I was even titled “Mama Mac” by the core group. I was highly conscious of my reputation in that small town, watching the community members’ reactions as I taught and produced theatre. I wanted them to see me a trusted, impactful educator who was making a difference in our community. I wanted to serve my students, my school and my town. By concealing my sexual identity, I was protecting myself from the (potentially negative) reactions, interactions and judgment within the community; this fear paralyzed me. It prevented me from engaging in meaningful relationships and affected my teaching. Once I came to this realization, I knew I had to make positive changes to my teaching life. I came to understand that serving my own needs was just as important as serving my students. This is one of the reasons I moved to Arizona to pursue a master’s degree in Theatre for Youth. In this space, I have come to learn that when I am more comfortable in my community as well as in my own skin, I am a more open and successful educator. This does not mean I walk into every classroom or theatre space wearing a rainbow flag; I now look at each teaching artistry opportunity, considering the needs of the participants as well as my own. I assess the boundaries I may need to make in regards to my outside life, and share accordingly. I do not “put on” a teaching persona. I am a person, and an educator; I will always strive to share as much of myself as warranted within each creative experience. This is one of the spaces where my growth as a teacher and an artist is possible. Lindsay McEuen is a M.F.A. candidate in the Theatre for Youth program at Arizona State University. 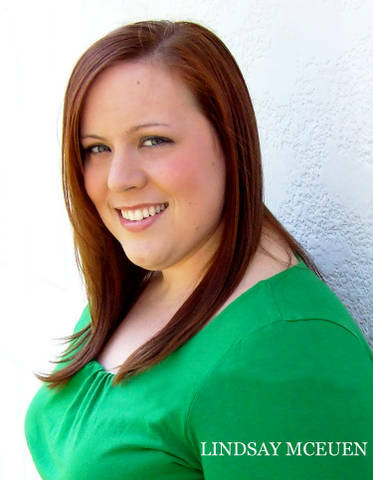 She holds her B.S.ed inTheatre Education from Columbus State University in Columbus, GA. Lindsay has worked professionally with Childsplay, Lexington Children’s Theatre, Climb Theatre, The Mesa Arts Center, Phoenix Center for the Arts and Rising Youth Theatre. She is currently the Artist in Residence at Lowell Elementary School in Mesa, AZ, leading the Literacy through the Arts Program. Her interests include creating professional development opportunities for early childhood educators incorporating drama and traditional subject learning and developing programming for youth theatre organizations. I could never “put on” a persona while a traditional teacher of art. As a result I was labeled “unprofessional”. That is why I am a teaching artist — not a teacher of art anymore!